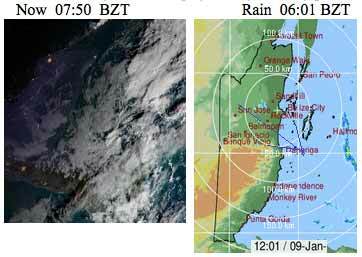 Belize NMS: A relatively moist airflow remains offshore, supporting a few showers over the sea today. 24-hour forecast: Partly cloudy tonight and sunny with a few cloudy spells tomorrow. Showers will be isolated, except for the chance of a few over the north tonight. General Outlook: For Wednesday and Wednesday night is for continued mild temperatures, with little or no rainfall. Today NW-N 5-15 kts Choppy-Moderate 3-5 ft A FEW SHOWERS. Tonight N 5-15 kts Choppy 3-4 ft A FEW LATE SHOWERS. Tomorrow N-NE 5-15 kts Choppy 3-4 ft ISOLATED SHOWERS. Outlook E 5-10 kts Light Chop 1-2 ft WEDNESDAY NIGHT:- LITTLE OR NO RAINFALL. 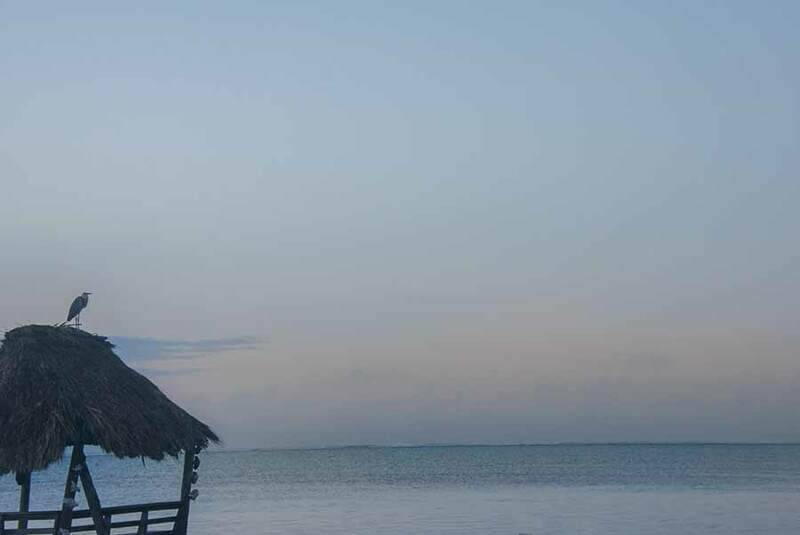 On Ambergris Caye this morning we have a flat calm sea with no wind and a clear sky. 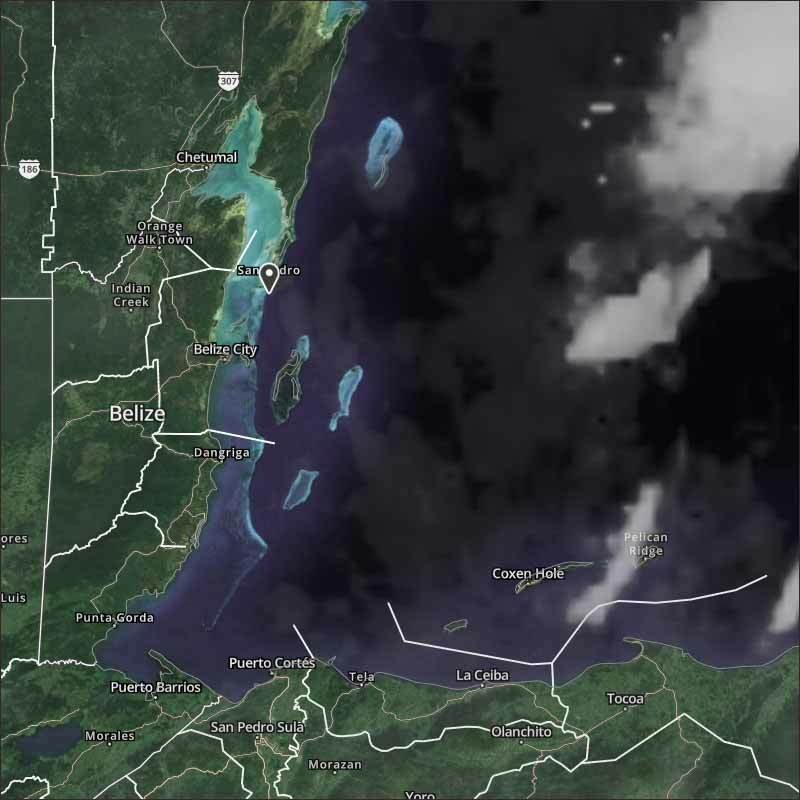 Our expected high today is 81 f.
Both the NOAA and US Navy pictures are not working this morning, but there is mid level air pushing back from Mexico, from the NW, causing a little bit of rain in parts of central or north Belize and out at sea. It is probably clashing with the Caribbean air, that is presently not moving in, but will probably start later this morning. Looks like today will be largely cloudy in many parts, some sunshine later, but also the chance of some rain. 0 registered members (), 291 guests, and 4 spiders.